Course Description: This course enables students to develop their understanding of basic concepts in biology, chemistry, earth and space science, and physics, and to apply their knowledge of science to everyday situations. They are also given opportunities to develop practical skills related to scientific investigation. 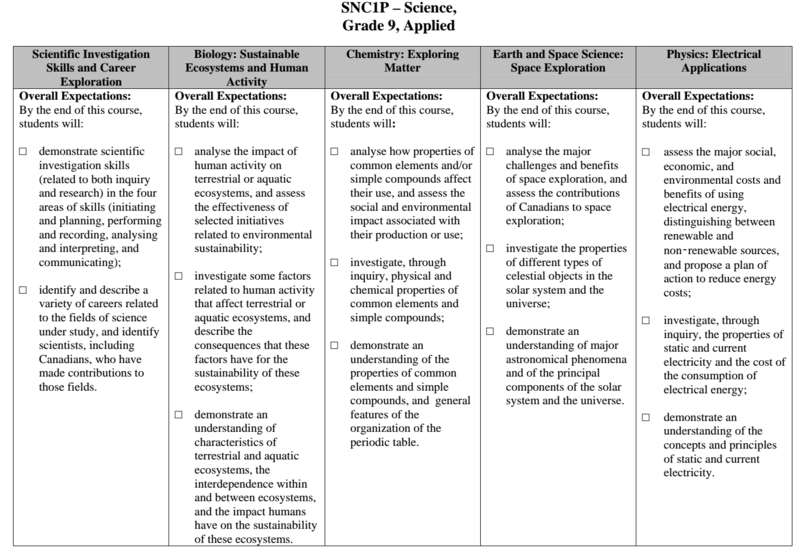 Students will plan and conduct investigations into practical problems and issues related to the impact of human activity on ecosystems; the structure and properties of elements and compounds; space exploration and the components of the universe; and static and current electricity.